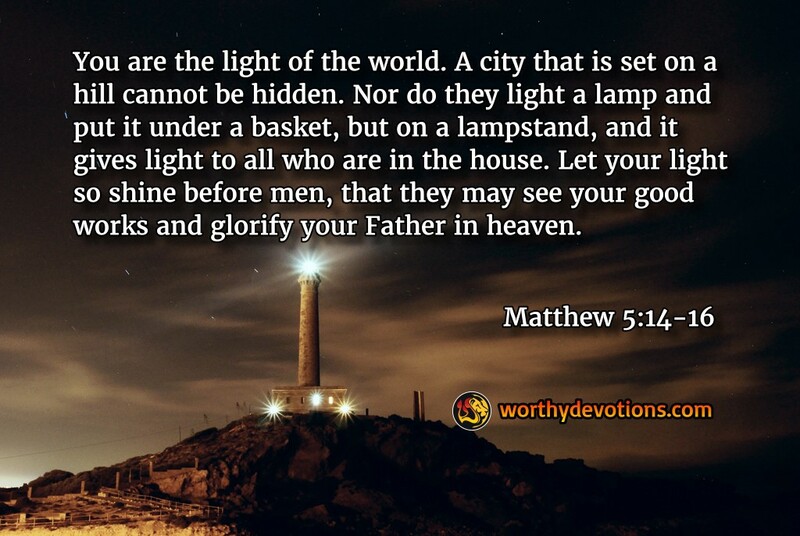 In the sermon on the mount, Yeshua said, "You are the light of the world," and commanded us to let our lights shine that we may give glory to our Heavenly Father. This world is becoming more ungodly and dark, and by deep contrast, the saints of the Lord will shine brighter! A candle in a bright room isn't particularly significant or easy to notice. A candle in the darkness shines like a lighthouse and offers the only source of guidance for movement. Bodybuilders are familiar with resistance training. They work each muscle group to the point of exhaustion...take a few days off...and the muscle mass increases. The next time they exercise with even more resistance...the result, more bulk! So it is with us in these treacherous times. The darkness and resistance of these evil days requires and will produce greater faith and greater love...if we let them. This world is testing our love and and quenching our light. How will we respond? Will we wimp out, be extinguished, and grow cold? [Matthew 24:12] Or will we recognize that the resistance we face is God's way of building faith and love in His disciples? Are you exhausted, spiritually spent and on the verge of quitting? Take some serious time out this Shabbat (Sabbath). Rest and reflect on how your love, joy and faith were tested this week. Give thanks for the "resistance" training the Lord has orchestrated just for you, and allow Him to rebuild your spiritual muscles while you rest. You will return on Monday ... more spiritually ripped in His love, and wrapped in His light!